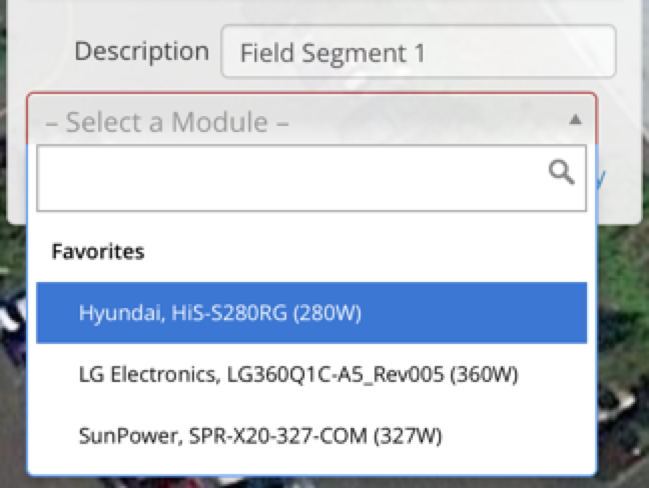 To choose any component from the Designer, use the component search bar and type the manufacturer, product name, and/or power level. HelioScope will return all of the matching components, and you can select the one to use. 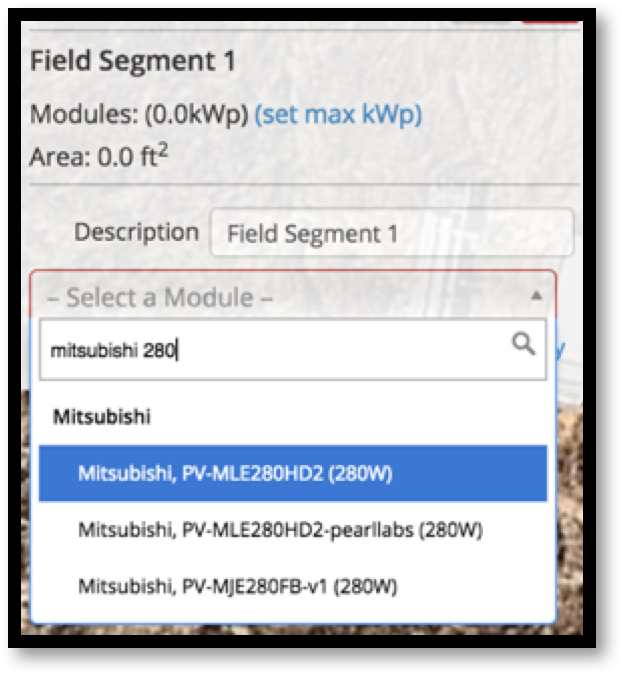 HelioScope has a large component database (including over 40,000 solar modules and over 10,000 inverters) which can be searched from the component search boxes in the Designer. 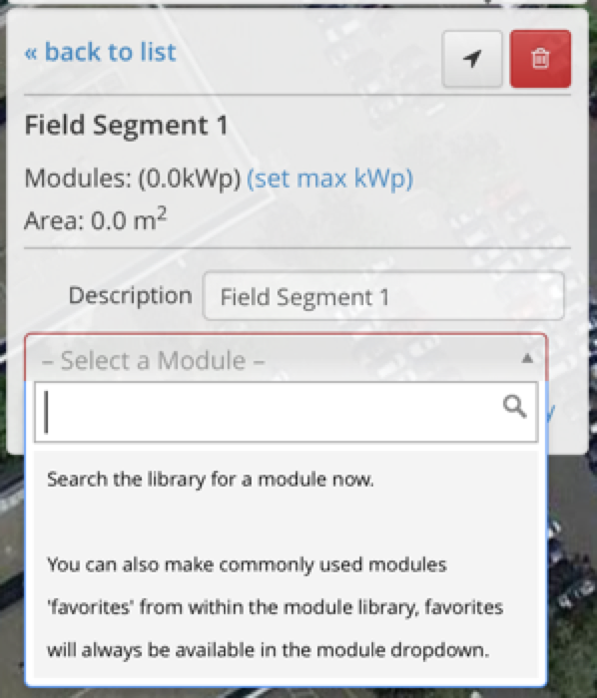 This app note describes the techniques for finding modules in HelioScope. To find a component in HelioScope, enter just the manufacturer and power level (not the full detail of the SKU name). This will then bring up a short list of components that match, which should include the target module (or inverter). 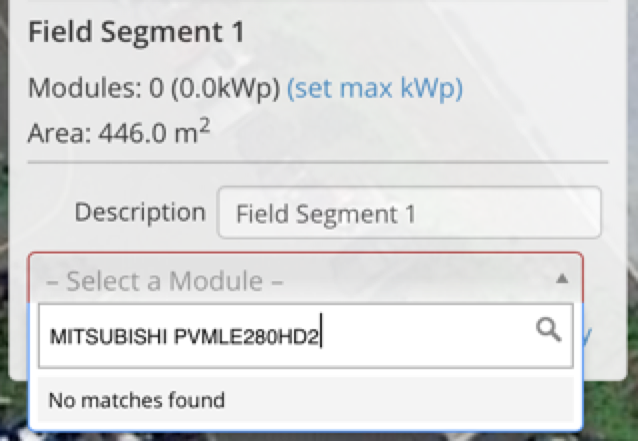 For example, when planning to use the “MITSUBISHI PV-MLE280HD2” solar module, search just for “Mitsubishi 280”. This will bring up three modules that match the OEM and power rating, including the target solar module. On the other hand, a search for “MITSUBISHI PVMLE280HD2” returns an empty result, even though the module is in HelioScope. Because the search term was missing a dash that was in the actual module, the search did not find the target module.